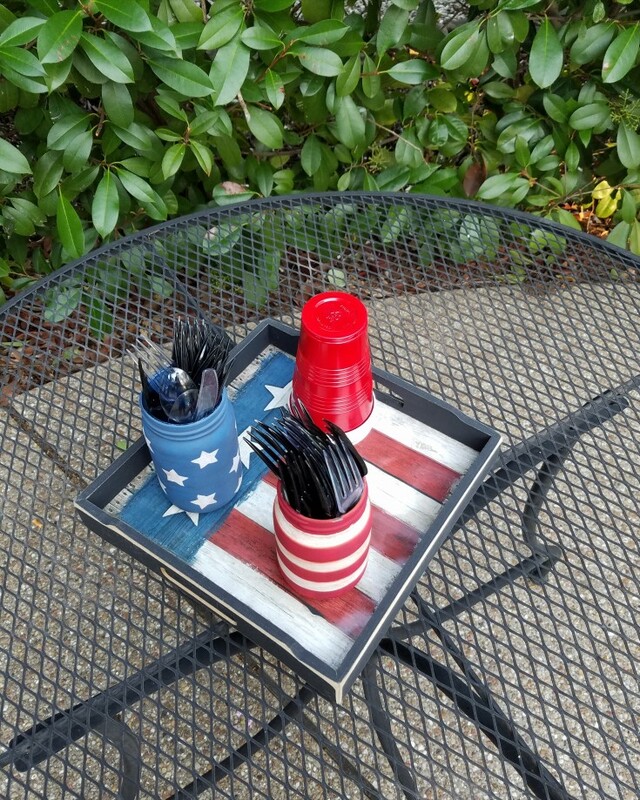 With the Memorial Day upon us and July 4th on it’s way I thought that I would share some of my repurposed and upcycled patriotic project Ideas. 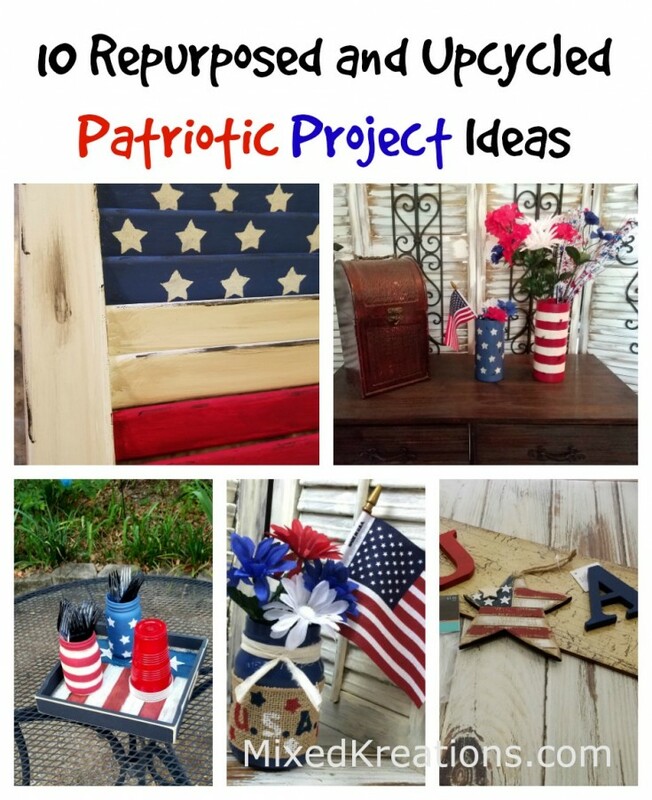 Click on the links below to be taken to each diy patriotic project. 1. 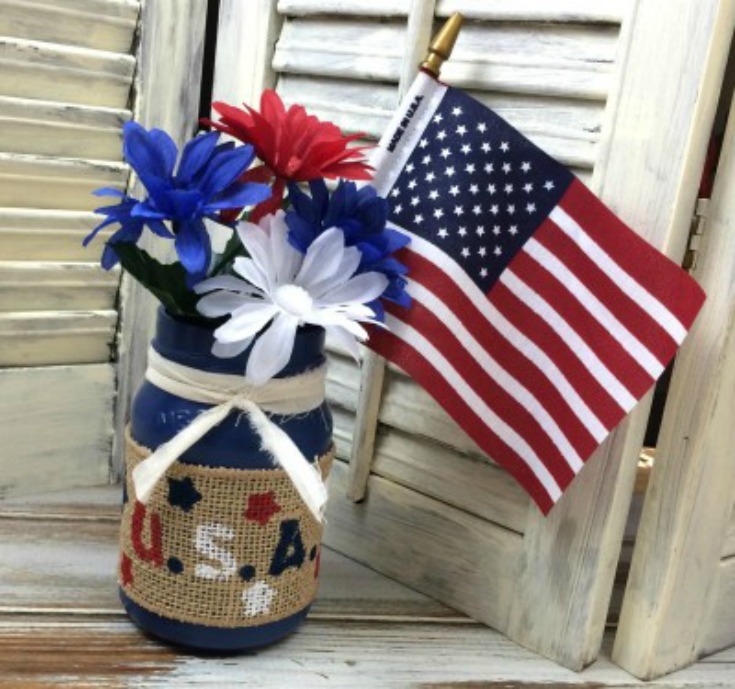 How to make patriotic vase out of two thrift store finds. These patriotic vases were upcycled out of two glass vases that I picked up at Goodwill for 99cents each. 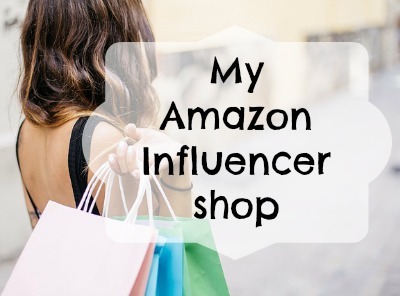 I have seen them at the Dollar Tree as well. I had the paint, so all the project cost me was for the two vases. 2. 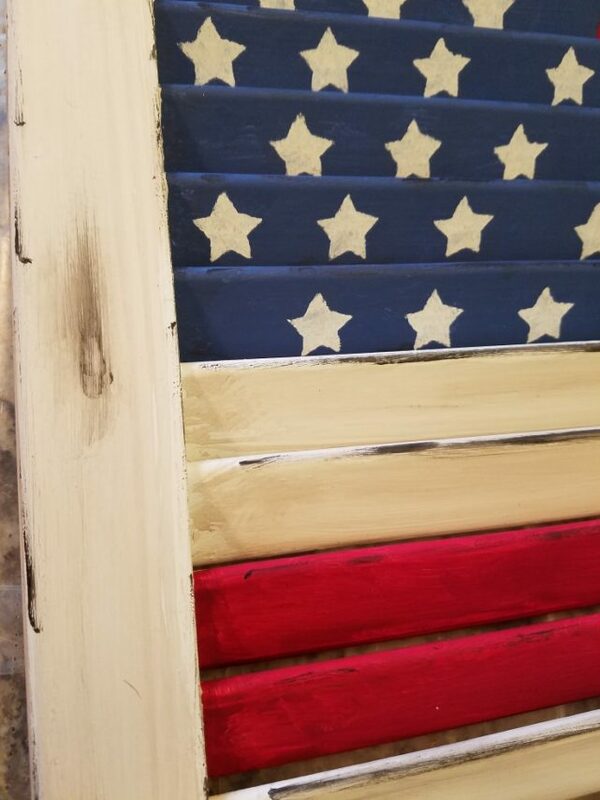 This two-sided American flag on a shutter is one of my favorites. When I ran across this small cabinet door shutter at the Habitat for Humanity I had to have it. I already knew how I was going to upcycle it. 3. 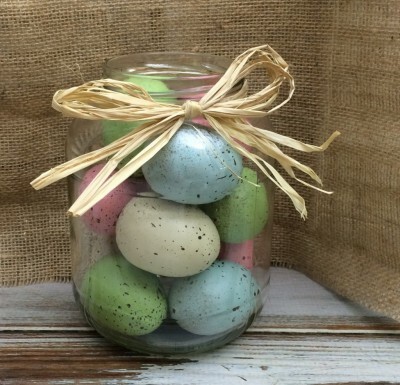 These easy stars and stripes glass jars can be made out of any glass jar. 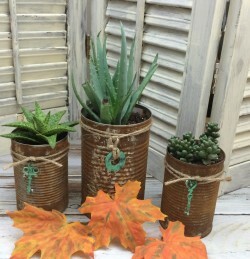 Pickle jars, mason jars, whatever you have on hand. Since I save empty food jars I always have some on hand. 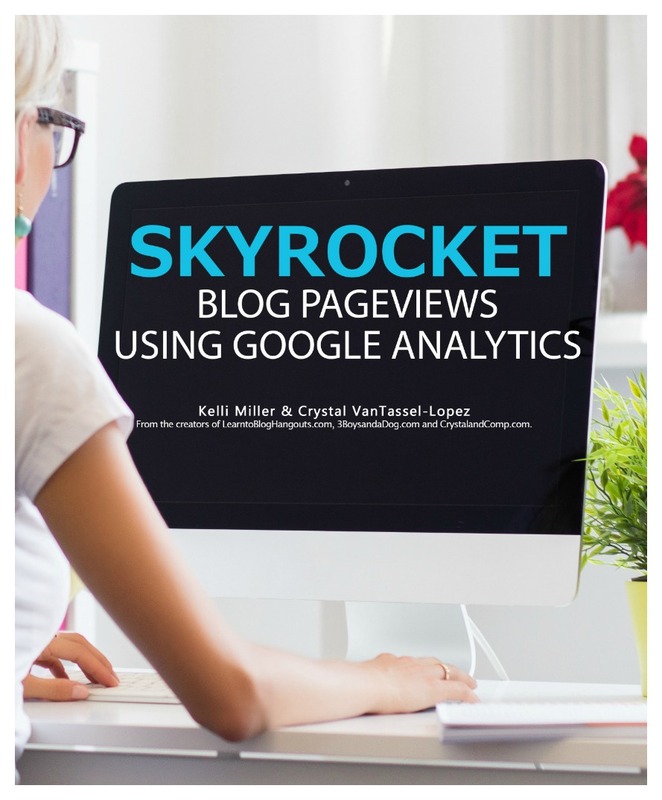 Their great for holding plastic ware at a cook out or even use as a vase for some red, white, and blue flowers. 4. Another favorite of my is my diy patriotic sign repurposed out of a fan blade. Another thing that I had to have from Habitat for Humanity. 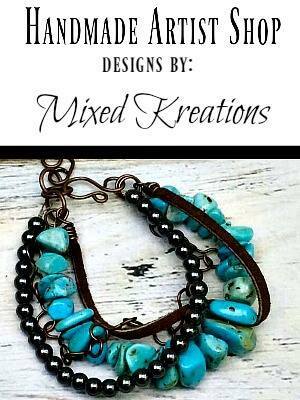 Loved the crackle finish. 5. 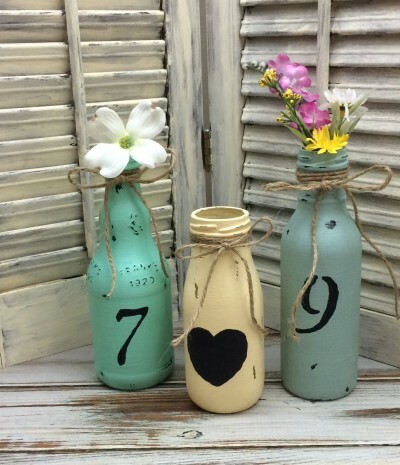 Here’s another 4th of July mason jar decor, except this time I used burlap that I stenciled on instead of painting the jar red, white, and blue. 6. 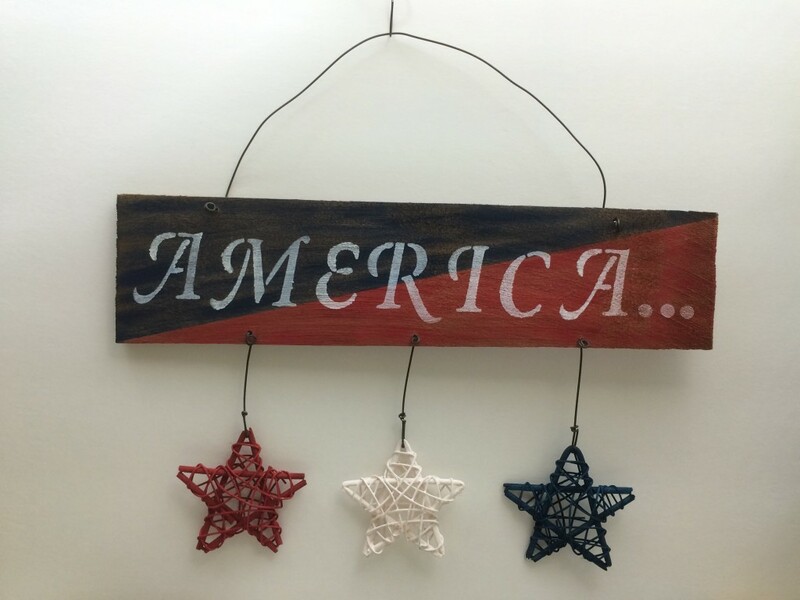 For this patriotic sign I used an old wood shingle, and red, white, and blue stars made out of a grapevine. 7. 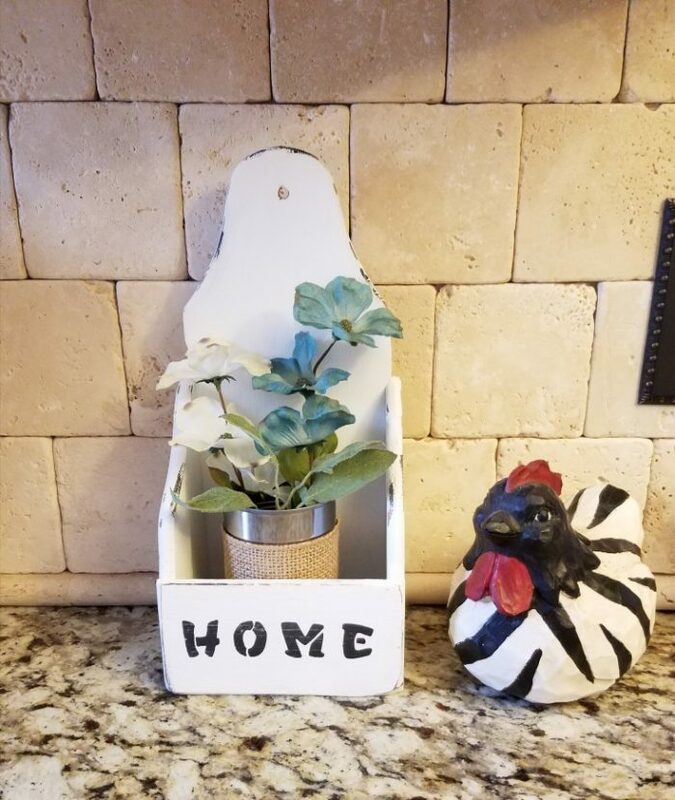 The American patriotic home décor sign was repurposed from an old frame that I already had, burlap that I stenciled on, and little wooden stars. Cost me nothing because I already had everything needed for this project. 8. 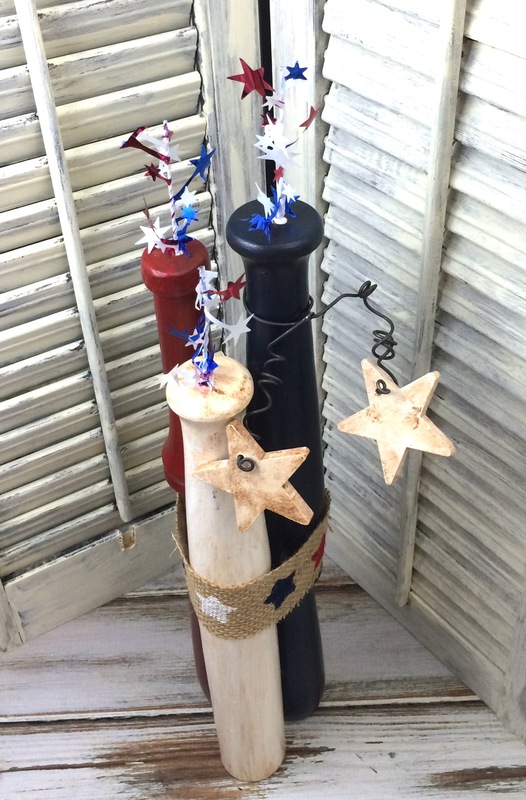 These 4th July spindle firecrackers were really easy to make. I had everything for these except the red, white, and blue stars for the wicks. Which I picked up at Dollar Tree. 9. 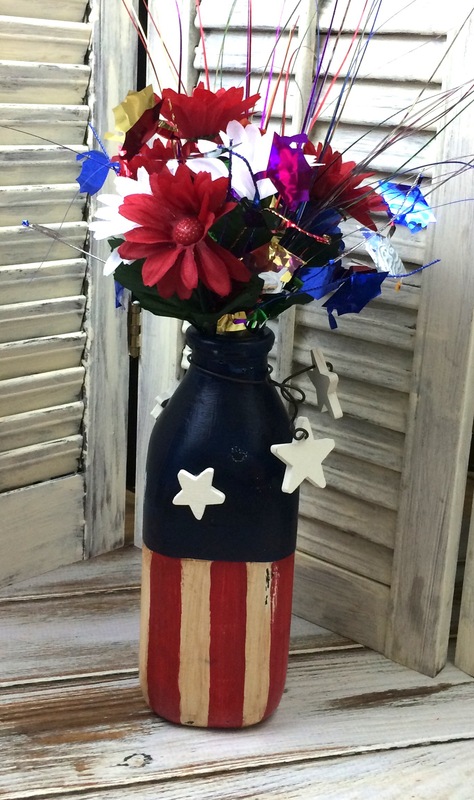 Upcycled bottle into fourth of July vase was another easy project that made a pretty patriotic vase. Thrift stores and Dollar Tree are great places to pick up bottles. 10. 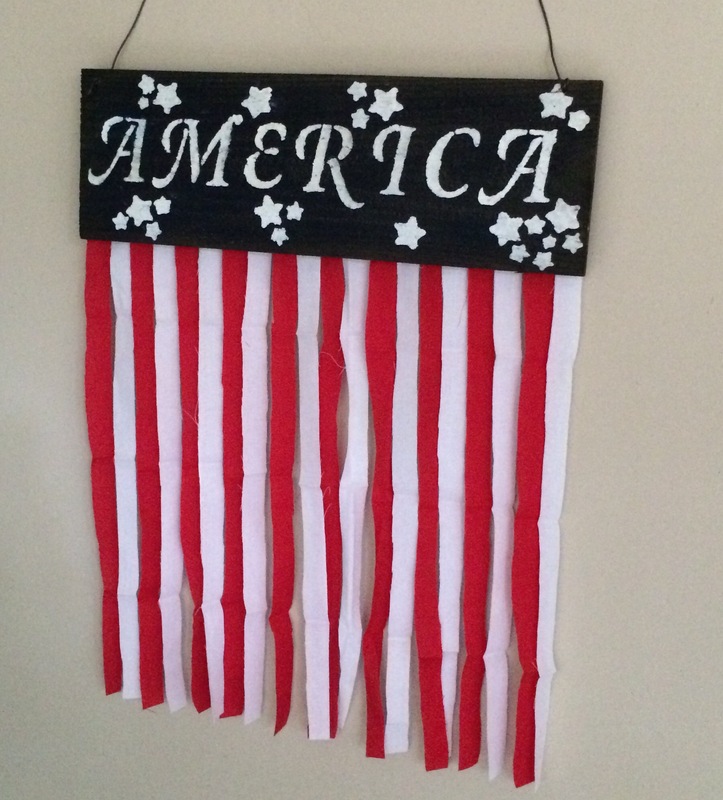 Last of my repurposed and upcycled patriotic project ideas is my Independence Day fabric banner. 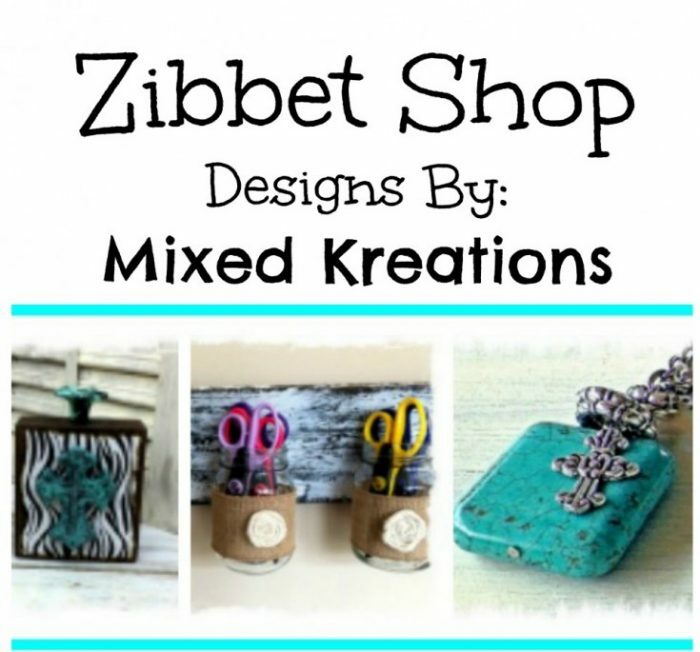 Quick and easy project, and a great way to use up some of your red and white fabric scraps. 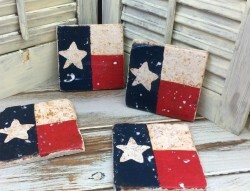 I hope you enjoyed these repurposed and upcycled patriotic project ideas. 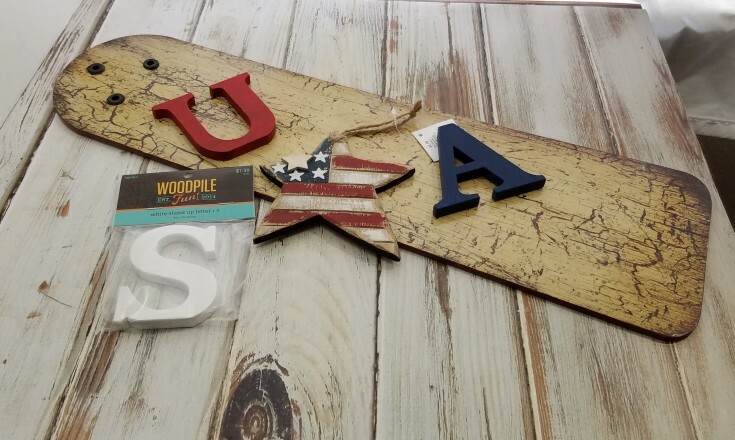 If you are new at crafting I hope that at least one has inspired you to give it a try in making your own patriotic décor. 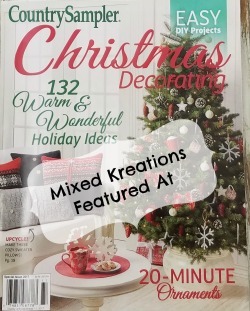 It is not only less expensive than buying holiday décor, but it ‘s fun as well. So, give it a try! So many lovely ideas Linda. 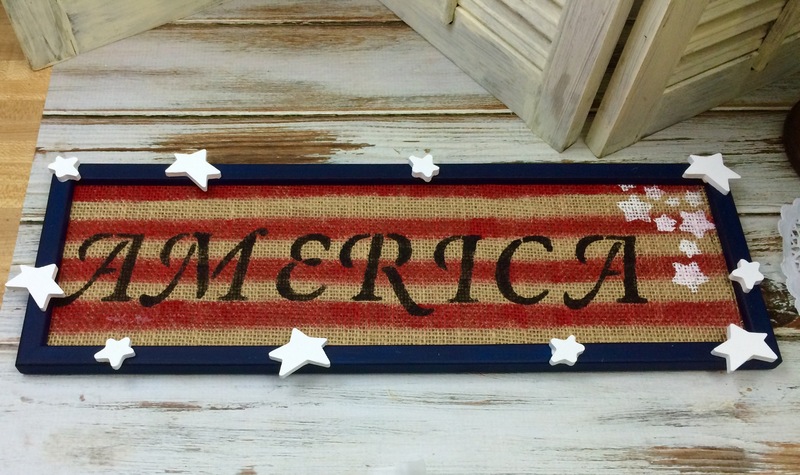 I think the doormat and the fan blade repurpose are probably my favorites. And the shutter flag, that one’s really cool too. Thank you Michelle! The fan blade is one of my favorites along with the shutter flag. I love them all…esp the fireworks. Nicely done. Computer issues taken care of for now. THanks for checking in. Thanks Pam! Glad to here your computer issues have been resolved. I’m always so stressed when I have computer problems. Thanks for stopping by! Linda these are all fantastic. I want to do something for the Fourth of July since I am here now I can really go all out. I just need to look through your ideas and see if I can borrow one. Thanks for the inspiration. Thanks Mary! 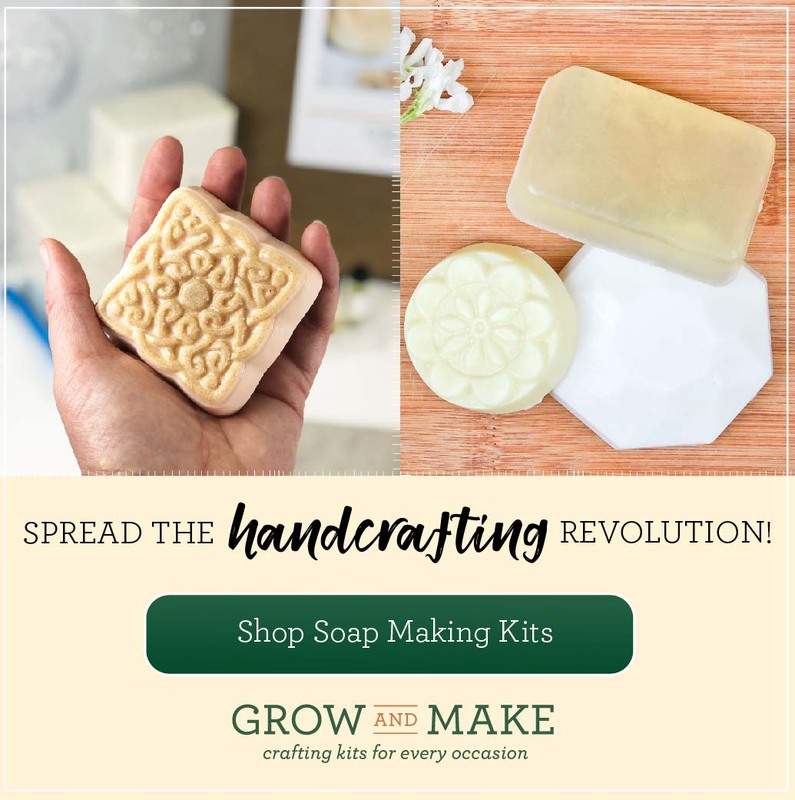 You do need to make some Patriotic projects, there are so many awesome projects out there. 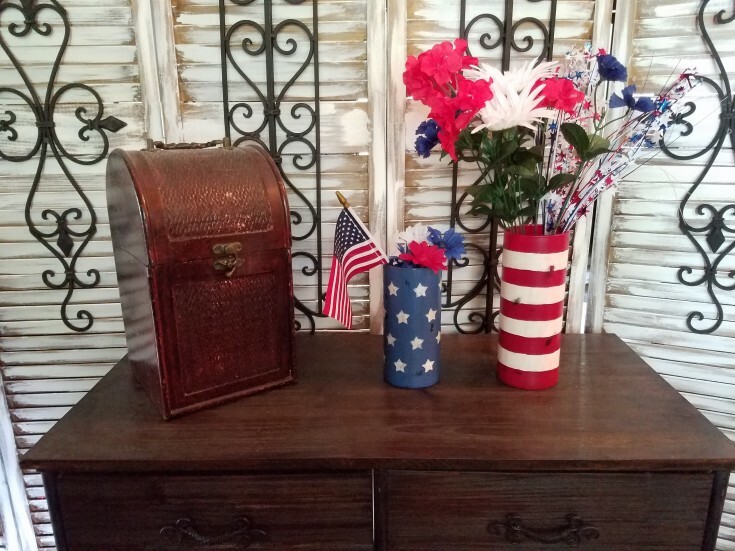 You will have to check out Deborah’s post as well https://www.salvagesisterandmister.com/50-patriotic-upcycled-projects/ She is sharing 50 which includes two of mine.